Good news, dog lovers: Letting your four-legged friend into the bedroom does not worsen your sleep, according to a new Mayo Clinic study—and it may actually help you rest easier. When it comes to sleeping with your dog, there are many benefits to sharing your sleeping space with your fur baby. Allowing your dog to sleep on your bed has a different meaning for you and your dog. For you, it can be a way to snuggle. For your dog, it’s an important bonding experience. 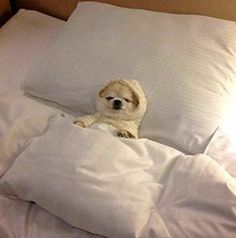 Ofcourse there may be moments that you prefer to have your dog in his or her own bed. You can find the most comfy, fun, and snuggly beds right here. According to a recent survey of pet owners by the American Pet Products Association, nearly half of dogs sleep in their owner’s beds. 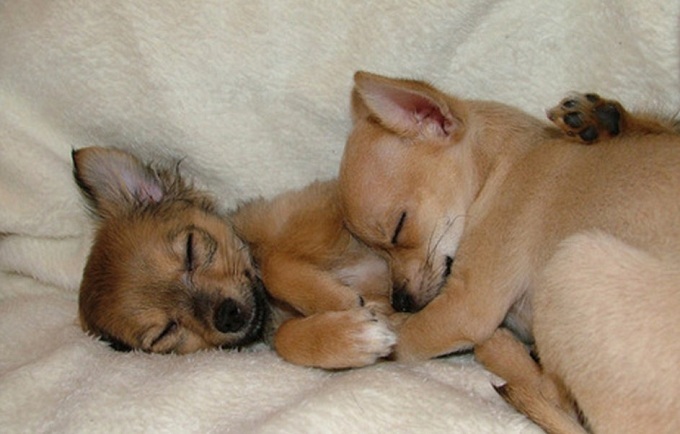 The survey found that 62% of small dogs, 41% of medium-sized dogs and 32% of large dogs sleep with their owners. The survey also found that 62% of cats sleep with their adult owners, and another 13% of cats sleep with children. Derek Damin of Kentuckiana Allergy, Asthma & Immunology in Louisville, Ky., says people who suffer from pet allergies or asthma should not sleep with their dog or cat or even allow them in the bedroom. But Damin says most pet lovers won’t kick Fido out of bed, even if they discover their pets are causing allergy problems. For those people he recommends allergy shots to build up a tolerance to the pet dander that causes allergic reactions. "But if you’re not allergic, there’s really no big issue with having a dog in the bed," says Damin, who for years shared his bed with his miniature dachshund. "It’s fine as long as it doesn’t disturb your sleep." 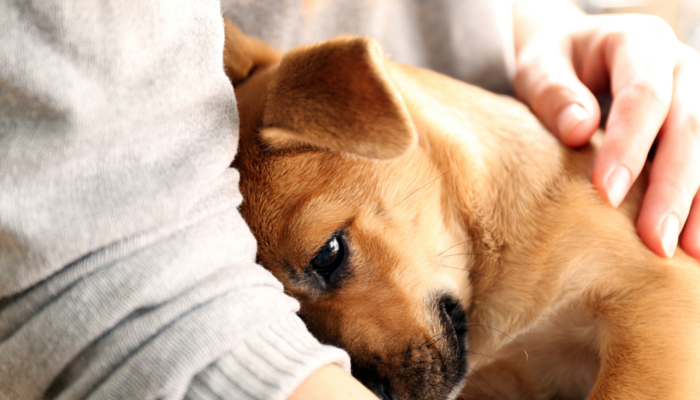 If you live alone or you have a great bond with your dog, you can be comforted by the presence of your furbaby nearby. If you suffer from nightmares or are just sleeping restlessly, having a living being beside you can be a great comfort. When your dog sleeps in your bed, separation anxiety they feel during the day is soothed. If you work long hours, being able to share time at night can help you support your dog and make them feel less distressed. Many people feel safer when they let their dog share their bedroom. If there are any sounds, your dog will respond and you'll be able to see that there's a problem. In addition, it can be reassuring knowing that your best furry friend is there for you and ready to protect you. 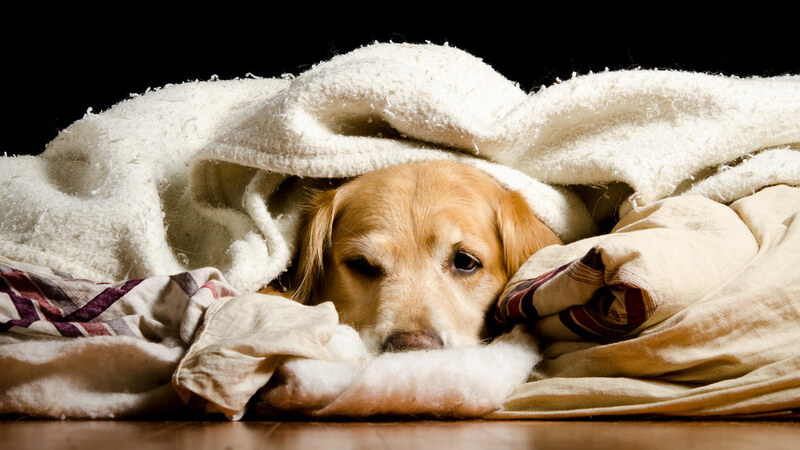 If you live in a cold climate, the warmth of your furry friend can feel terrific. If you're anxious, having your dog by your side can be calming. 6. Can help you fight insomnia. If you have trouble falling asleep, being able to talk to your dog or listening to your furbaby sleep can help you relax and drift off. 7. Can strengthen your bond. Spending time together in a quiet setting like the bed helps you get closer. Dogs are pack animals and will often sleep together in a puppy pile when they can. 8. It's a great treat for your dog. For a dog, sleeping in a bed can feel a sense of dominance and can be more comfortable than a doggie bed on the floor. 9. It can provide soothing background noise. 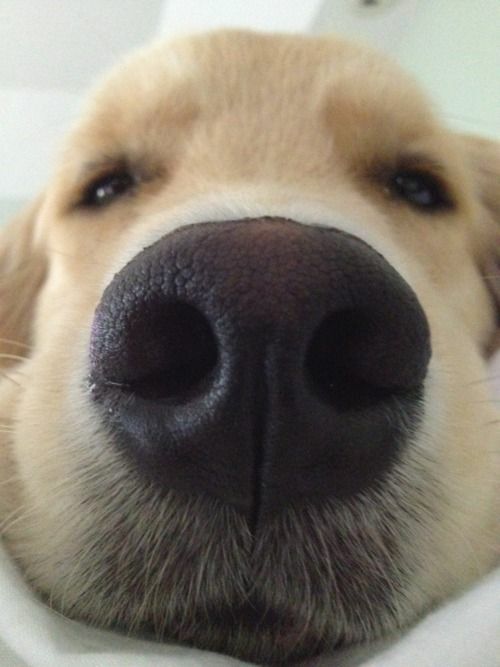 The sound of the dog’s breathing can be very soothing if you live alone or you have a hard time falling asleep. 10. It can be great if you live alone. If you feel lonely because there's no one beside you at night, having a living creature next to you may help soothe some of that feeling.